Frederic Willis Culpitt was born in England on May 9th, 1877. He was one of the early magic comedians. Culpitt was also an incredible inventor and he gave the magic world some treasures. Though, I'm not sure 'gave' is the right word, as it seems clear that the magic world at large actually ripped these treasures off from Culpitt, and he never received a dime for any of the unauthorized props. His interest in magic began at the age of eight and he continued to practice this craft up until he was of an age to take on full time employment. His parents had arranged a job for Fred in the British Govt, but he declined and went the route of conjurer. Culpitt presented an act with was made up card manipulations, scarf tricks and livestock effects. He also presented a comedy turn using chapeaugraphy. He was very successful touring the Music Halls but shifted to becoming a Society Entertainer. 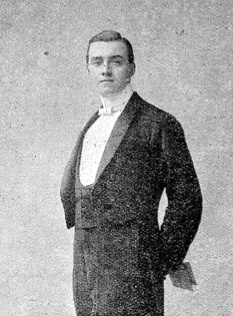 He later became stage director at Maskelyne's St. Georges Hall theatre as well as a regular performer there. 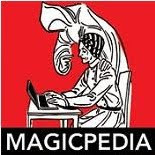 He was a frequent contributor to The Magic Wand Quarterly and also wrote articles for The Linking Ring. Fred Culpitt died of a heart attack on October 8th, 1944. The Poster Trick, also known as The Bathing Beauty-A stage magic trick were a picture of a woman at the beach is seen wearing a robe. The poster is folded in half and the magi reaches inside and removes a fabric robe. The poster is unfolded and the image has changed to that of a woman wearing a bathing suit. The magician folds the poster in half again, and reaches inside and removes a fabric bathing suit just like the one in the picture. But this time, when the poster is opened the woman is seen to be in the water and only her head and shoulders are visible! Click here to watch a young David Copperfield doing a modern version of the effect. The Silk To Egg Trick - This has become a modern classic. The quick version of the trick has the magician placing a handkerchief into his/her hand and changing it into an egg. Then he/she explains the egg was hollow and teaches the trick. Upon repeating, the handkerchief again vanishes but the egg is discovered to be real. Click here to watch Lance Burton presenting the Silk To Egg trick. The Doll's House Illusion - Another modern classic of illusion magic. A small child's doll house is shown to be empty and a second later contains a full grown human being, a living doll! The history of the doll house begins in the 1920s when it was first debut by Fred Culpitt. It borrowed it's methodology from an illusion created by Servais LeRoy called The Magic Jam. It was an astonishing illusion for the time and it became the hit of his act. Soon after it's appearance magicians started to copy Culpitt's illusion without his permission. In 1927, the illusion came to America and it was being sold and produced by numerous companies, including Abbotts and Thayers. Jack Gwynne added it to his show and made a hit with it on this side of the Atlantic. He eventually created a new version of the trick with a different effect. It was called 'The Temple of AnGee' and was a sword basket type of effect done with a dolls house prop. 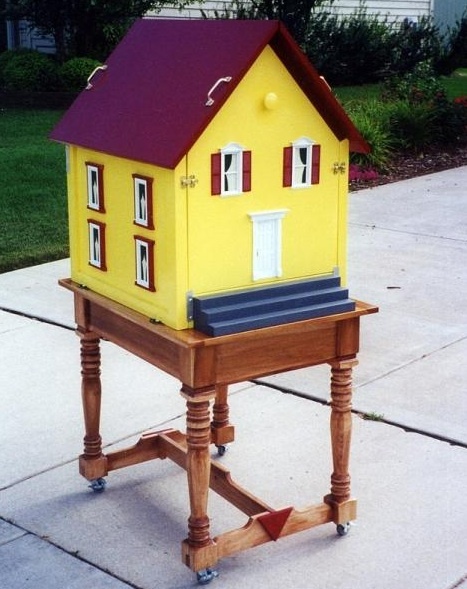 Don Rose created a version of the Doll's House that used a very different method and featured a much smaller house. Years later, Jim Steinmeyer would create a version based on the Don Rose Doll's House called The Magical Toy Shop. Doug Henning was the only one to my knowledge to ever present this effect. Below are a few photos of Doll's Houses that I've collected. 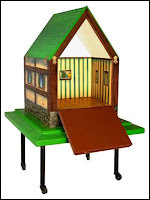 This was built by Illusionartsmagic.com and it is from the early Thayer workshop plans. This is what some of the early versions of the Doll House Illusion looked like. I don't know how closely this resembles the original Culpitt Doll's House as I have never seen a photo of it. The Thayer Doll's house sat upon a table and often had furniture and things inside that could be removed. Once the items inside are taken out, the door was closed and out popped a human being. In the Jack Gwynne version of the illusion, he recited the fairy tale "The House That Jack Built" and the conclusion of the effect his wife appeared wearing a hooped dress that fell out around the illusion as she stood up making the production look enormous! 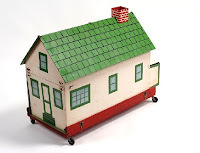 Bill King was a collector from Maryland who had several cool looking Doll's House Illusions amongst his treasures. One of these is an Owen, I think, and the Haunted House looks like it might have been built using the Osborne Plans. Bill was a great guy, he passed away not too long ago. This is probably the best Doll House in modern times. It was designed by professional magician Dennis Loomis back in the 1970s. I remember asking my friend Denny Haney of Denny & Lee's Magic Studio years ago about where to find a good Doll's House and he said the only one you want is the Loomis Doll House. Well, I guess I listened because I own one. It's a wonderful illusion and I've had several people who are not magicians inquire about purchasing it. It has some subtle properties that make it more deceptive than other Doll House Illusions. If you're in the market for one, you can click the link on Dennis's name and purchase a DVD with blueprints and instructions on how to build one of your own. Originally called The Temple of AnGee, which was named for Jack Gwynne's wife Anne, The Temple of Benares used the Doll Houses shape and method and added slots cut in the roof and then swords. The box was decorated to look like some sort of temple. The effect was not a production, but instead, someone climbed into the box, the doors were closed and swords were thrust through the holes in the box. Upon opening it, the audience could see all the swords still inside the box but the person had vanished. The doors were closed and the swords removed and the assistant returned unharmed. The Don Rose Doll House worked on a different principle than that of the Culpitt Doll House. 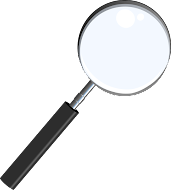 It's method more resembled a Genii Tube or Phantom Tube. This one in the photo is designed to pack totally flat, but I have seen some that are on raised platforms similar to the Culpitt Doll House. In the photo the back doors can be seen open, the front however is not open in the photo. When performed the audience can see completely through the house.